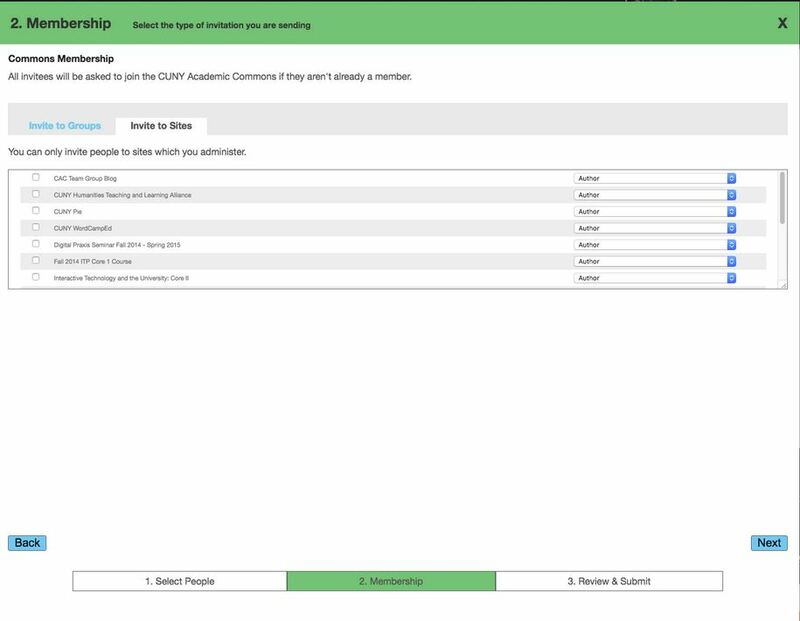 There will come a time when you want to invite CUNY colleagues to join the Commons (Get more information on the different “invitation scenarios”). 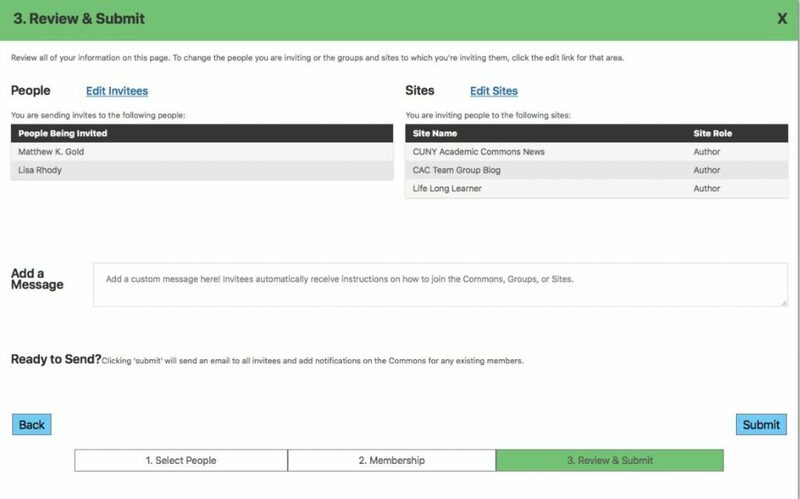 Any member of the Commons can send a customized email invitation, and the recipient can simply click on a hyperlink to begin the registration process. Hover over your avatar in the top right corner of your browser screen, and scroll down to the “Send Invites” option. 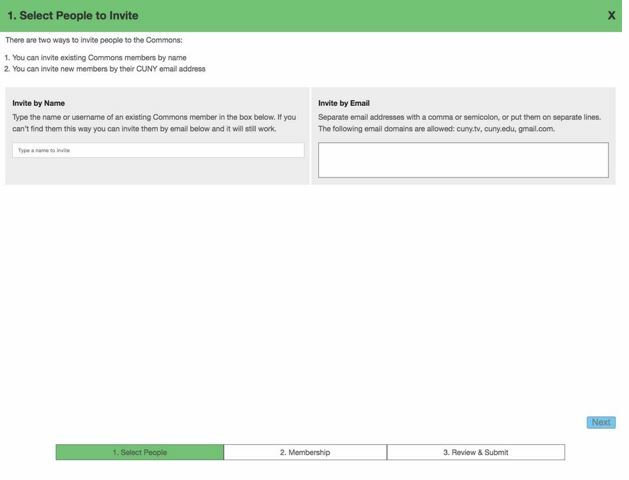 You can also get to “”Send Invites” through the Dashboard of your Group or Site. You will see the screen below, Step 1 “Select People.” Here you have two options. If you know that your colleagues have already joined the Commons, you can type their usernames in the “Invite by Name” field (you’ll see it populate as you type). Or you can fill in your colleague’s email addresses, one per line, in the “Invite by Email” field. Step. 3 “Review and Submit” shows you who you have invited and where. Use the “Add a Message” box so that your recipient will immediately know what the email is about . Please let us know if you have any difficulties or questions at the Commons help desk – support@cunycommons.zendesk.com.